The NEUTRALLE Auto Sanitizer provides an automatic and continuous touch-free hygiene maintenance programme for toilets and urinals, 24-hours a day. It is the ideal system for maintaining well-cared for washrooms. * Automatic constant and continuous cleaning of all ceramic surfaces exposed to flushing. * Actively attacks hard water and mineral deposits in pipes, drains and septic tanks. * Reduces and prevents scale and stains from forming. 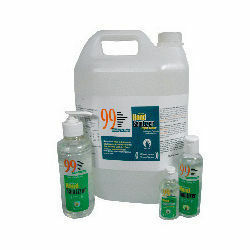 * Germ kill properties stops germs breeding. * Touch-free operation reduces the risk of cross infection. 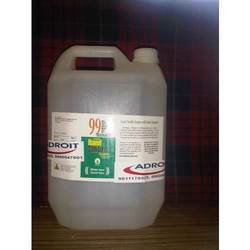 * Eliminates odours at source and helps to maintain an odour-free environment. 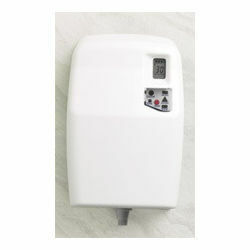 We also provide broad gamut of Liquid Hand Sanitizer that sanitizes your hands without water, soap and towels. These are manufactured using most advance technology and thus successfully help in killing pathogenic micro-organisms on the skin as well as in reducing contamination. Our auto sanitizer digital are available in customized specifications also. Hand Sanitizer is a great non messy product to Sanitize, Protect & Moisturize hands without water. its protects hands from re infection for a prolonged time & Aloe Vera gives a soft, moisturized non sticky feel. Safe before eating, after using Washrooms, after Hand Shakes or generally during work or outdoors.